We have Crab only trips available. $120. per person. 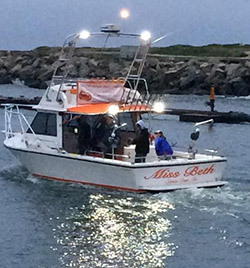 Miss Beth is a 30′ island hopper sports fishing boat fully equipped for any fishing adventure on the Monterey Bay. Charters can range from San Francisco to Monterey. Depending on the season we go fish for salmon, rock cod/long cod, sea bass and halibut as well as albacore and blue fin tuna. 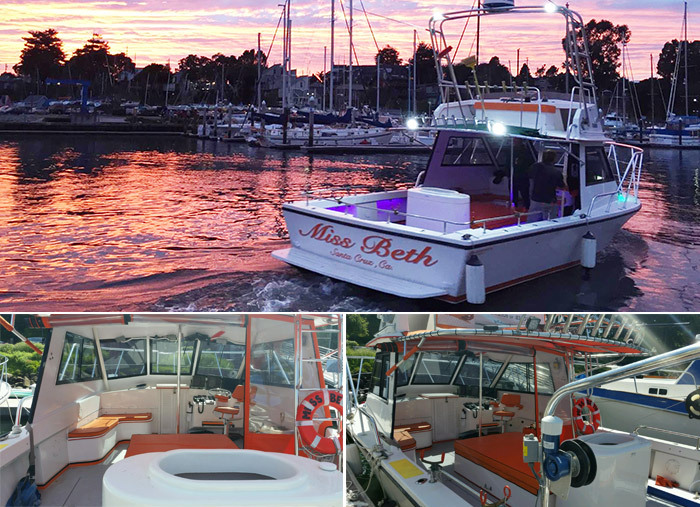 Miss Beth features 100 square feet of unobstructed deck space that gives six anglers plenty of fishing room with open state of the art electronics floor plan. We have something for everyone – Fishing trips, scenic bay cruises, whale and dolphin watching and crab and rock cod combos. You will have a blast out on your day fishing the beautiful Monterey Bay and scenic Santa Cruz.